“The better we get at getting better, the faster we will get better.’ ~Doug Engelbart. Douglas Engelbart, a far-sighted person who believed that in order to achieve something you have to be a prompt thinker and a doer. His work backed up his thoughts. This great man was born on January 25, 1925 in Portland, Oregan. He graduated from high school in 1942 and right away applied to the Oregan State University. There he studied electrical engineering which was intruded by WWII. He did not give up and pursued the degree again and finally completed his bachelor’s in 1948 followed by a master’s degree in 1953. Doug was a restless man and the realization of his goals was his first step towards creating a name for himself. He always wanted to do something for mankind and he achieved that in 1964 when he invented the computer mouse. He worked at Berkley as a professor and then moved to the Stanford Research Institute, California where he worked for more than 20 years. This is the place where he started working on the invention of the computer mouse. This was also the time when he was doing his PhD in electrical engineering from the University of California. Douglas Engelbart founded the SRI International Augmentation Research Center where auxiliary investigation about the computer-sharing tools and methods was done. Along to that he also designed the on-line system. This was an innovation in itself. December 9th, 1968 was the day when he first gave a demo and nattered about the different computer paradigms and technologies. This demo changed the world for us today. This was the first time that a multimedia presentation was conducted followed by a video conferencing session. The concept of communication via computers was illustrated. His work at SRI changed the archetype of human intellect and that was proved by his research paper that was published in 1962 under the name “Augmenting Human Intellect: A conceptual Framework“. This research highlighted the growth opportunities and how these are crossed by the technological advancements. Douglas was one of the pioneers of the internet and his contributions have made a huge impact on how our world operates today. He published 25 research articles and won many awards for his work. National medal of technology and innovation, Lemelson MIT Award are just to name a few of the honors he had in his hat. He was also the holder of 20 patents. 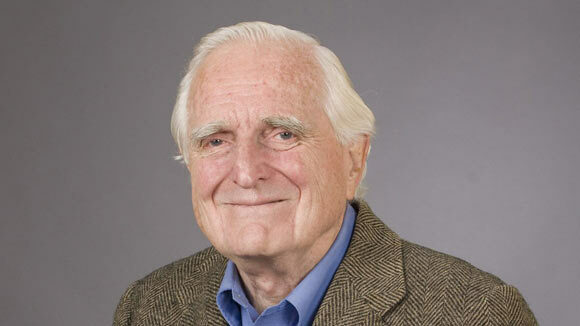 Douglas Engelbart died at the age of 88 on July 2, 2013 in California. The cause of his death was said to be kidney failure. He left behind his wife, 4 children (3 daughters and a son) and nine grandchildren. According to his peers, he was a family man and spent most of his last years with his family and friends.